As Patriots fans we watch him every week. When he's not injured Rob Gronkowski is arguably the toughest receiver to cover in the league and it looks like Denver Broncos cornerback Chris Harris agrees. Harris went on to laud Gronkowski’s versatility and strength, then analyzed the New England Patriots tight end’s signature route. 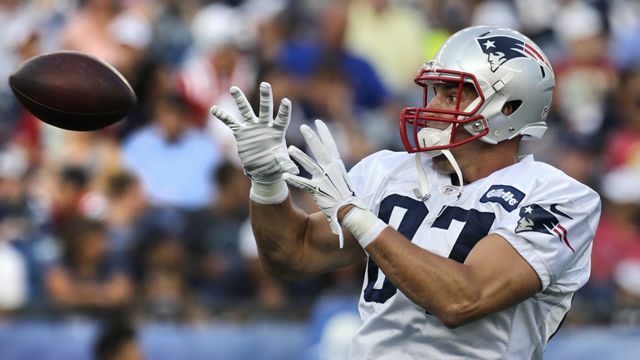 One of Gronk's best ever catches came against Harris in 2014 when he plucked a one-handed catch out of their air in tight coverage. Denver seem to be one of the tight ends favourite teams to play against catching 30 passes for 371 yards in 5 games. As well as Gronk, Harris named Antonio Brown (Steelers), T.Y. Hilton (Colts), DeAndre Hopkins (Texans) and A.J. Green (Bengals) in his Top 5 of hardest to cover opponents.